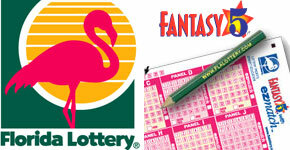 Someone is over $38,000 richer today after purchasing a winning Florida Lottery Fantasy 5 ticket in Century. The ticket sold at Beckys Mini Mart at 9010 North Century Boulevard was one of five winning tickets sold for Tuesday night’s drawing and is worth $38,766.98 . The ticket was a free Quick Pick. 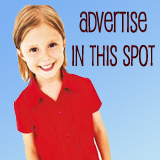 Other winning tickets were sold in Hallandale, Fleming, Sarasota and Brandon. The 277 tickets matching four numbers won $112.50 each. Another 8,926 tickets matching three numbers are worth $9.50 each, and 86,050 ticket holders won a Quick Pick ticket for picking two numbers. Tuesday’s Fantasy 5 winning numbers were 5-12-24-27-29. Kaylene, I couldn’t agree more. If you don’t like it leave it. I graduated in Century. i worked, lived and served my country all over the world. I’m so glad to be back in Century to retire and live happily ever after. Wow…BLESSINGS TO WHOMEVER PURCHASED THE WINNINGS ALONG WITH THE STORE…GREAT!!! A very Merry Christmas to this individual! Century resident wins $38K on ticket, immediately has more money than the Town of Century. Sure hope the city bought it and can pay down bills.